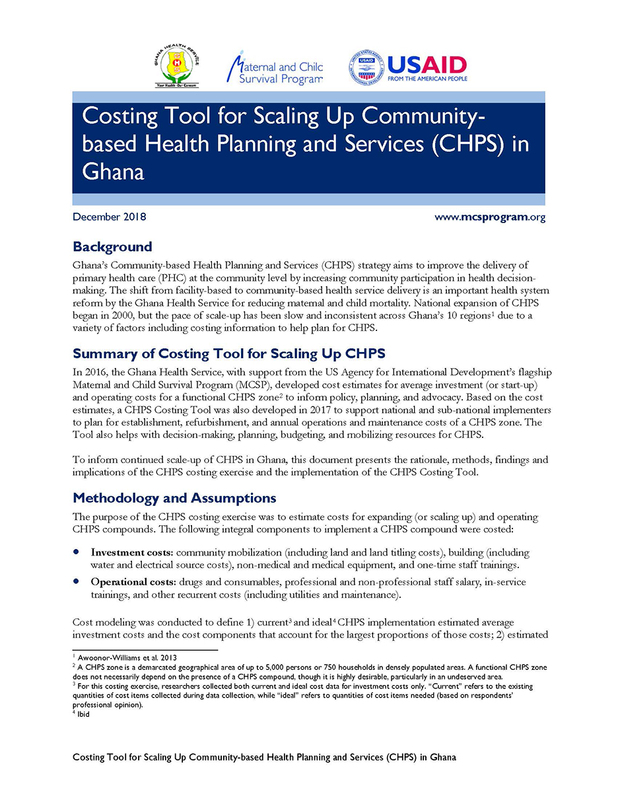 In 2016, the Ghana Health Service, with support from MCSP, developed cost estimates for average investment (or start-up) and operating costs for a functional Community-based Health Planning and Services (CHPS) zone to inform policy, planning, and advocacy. 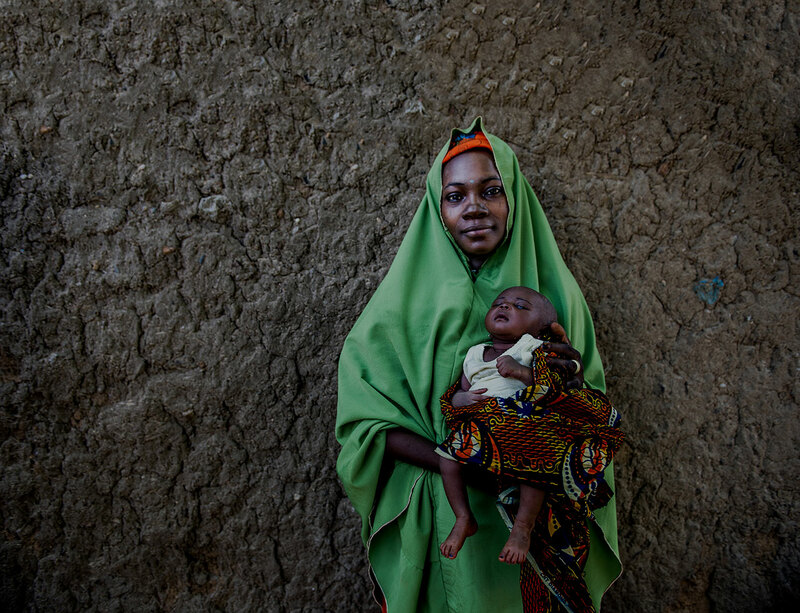 Based on the cost estimates, a CHPS Costing Tool was also developed in 2017 to support national and sub-national implementers to plan for establishment, refurbishment, and annual operations and maintenance costs of a CHPS zone. The Tool also helps with decision-making, planning, budgeting, and mobilizing resources for CHPS. To inform continued scale-up of CHPS in Ghana, this document presents the rationale, methods, findings and implications of the CHPS costing exercise and the implementation of the CHPS Costing Tool.